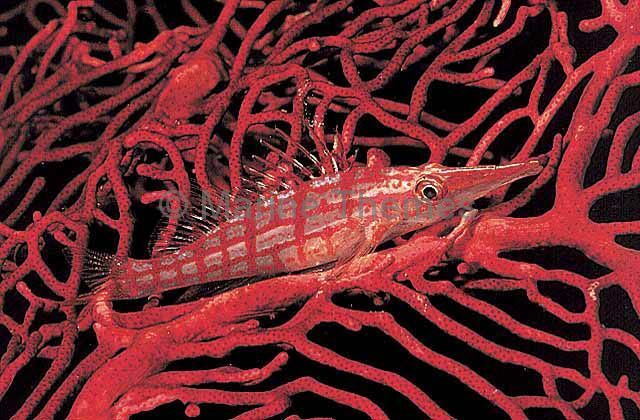 Longnosed Hawkish (Oxycirrhites typus) on red Gorgonian Sea Fan. 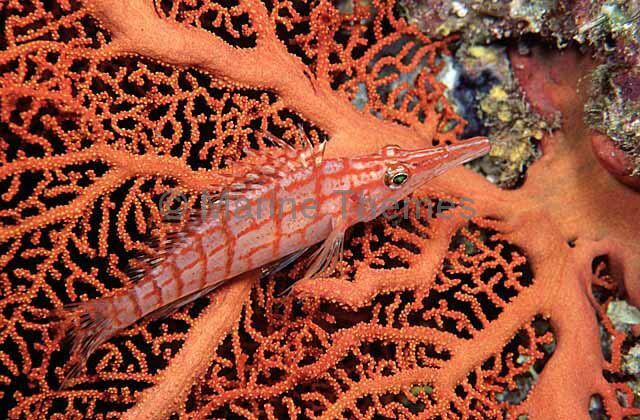 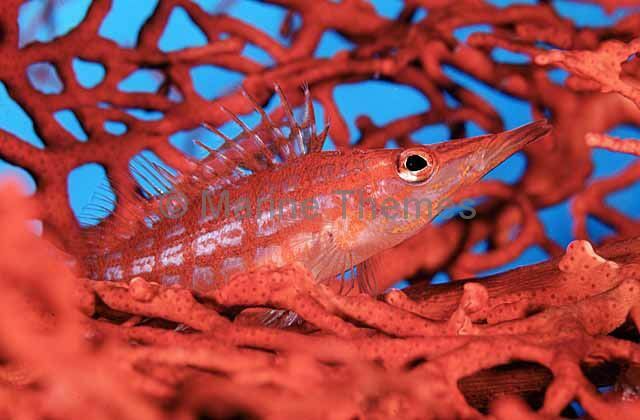 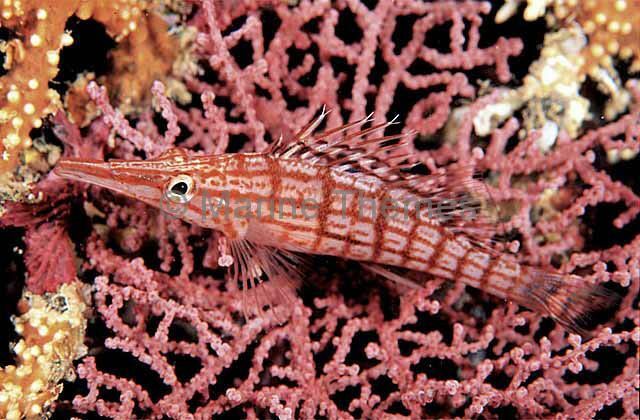 Longnosed Hawkfish (Oxycirrhites typus) on red Gorgonian Sea Fan. 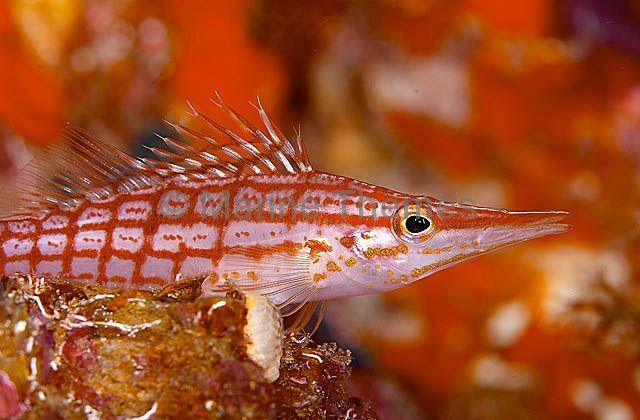 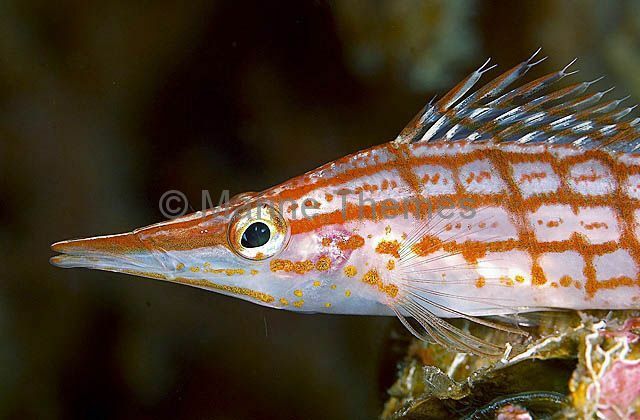 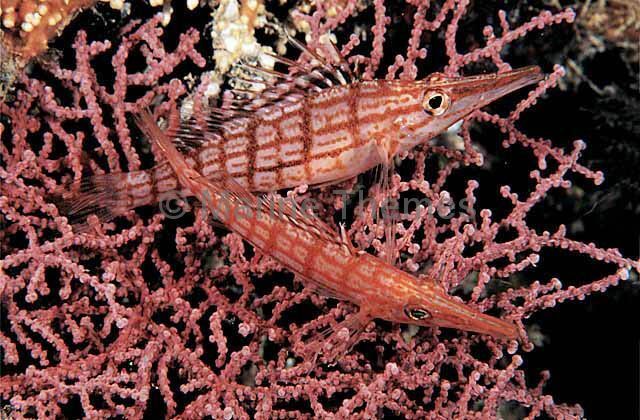 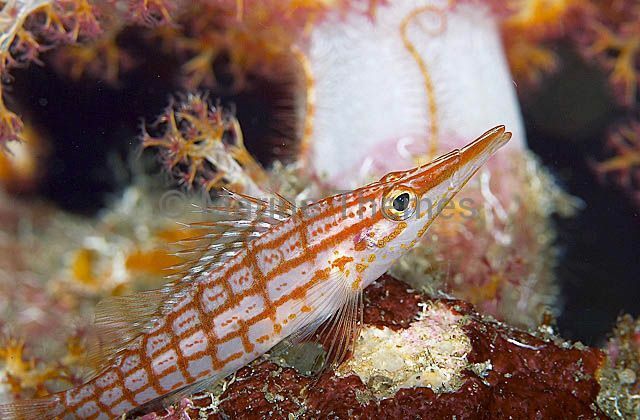 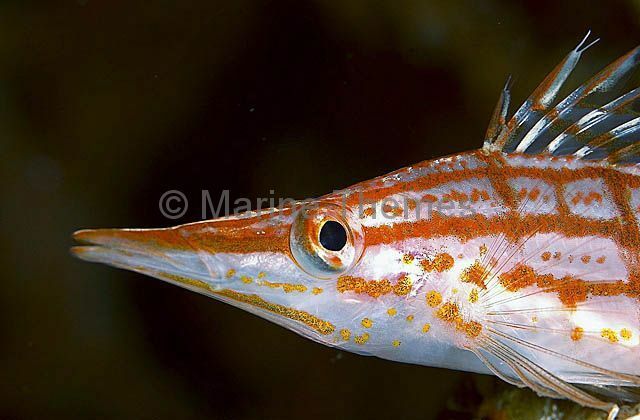 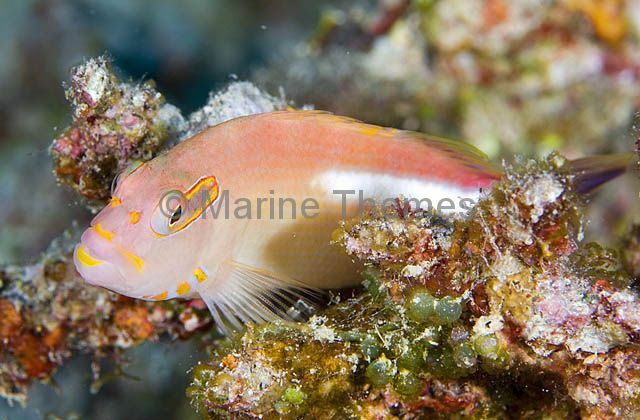 Longnose Hawkfish (Oxycirrihites typus) portrait. 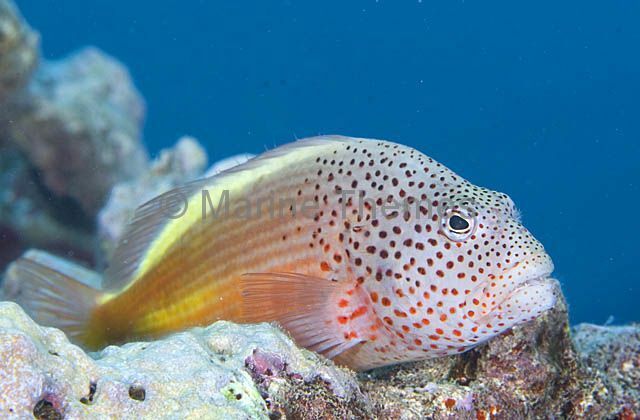 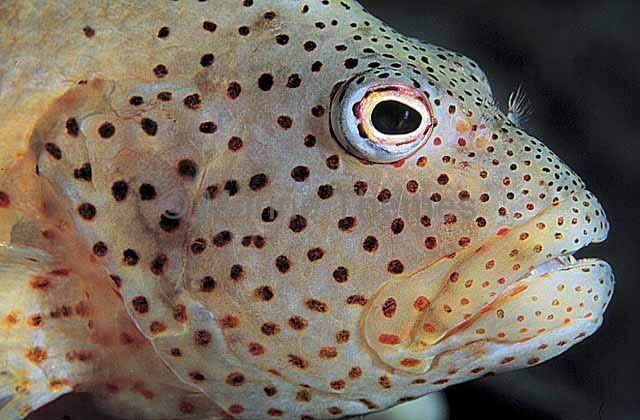 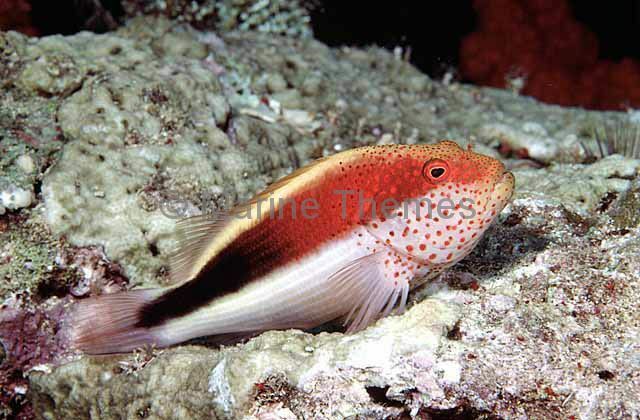 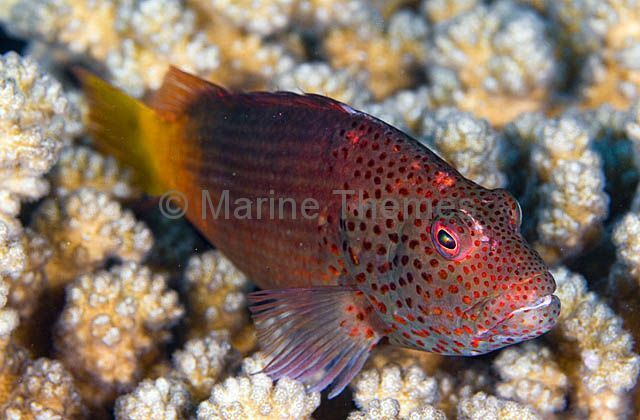 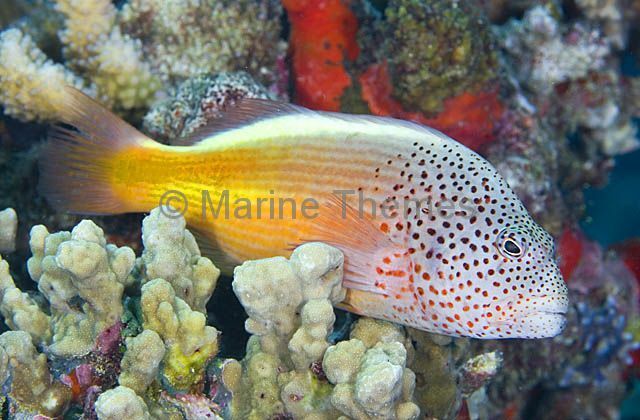 Blackside Hawkfish (Paracirrhites forsteri) with dorsal fin erected and mouth open in threat posture. 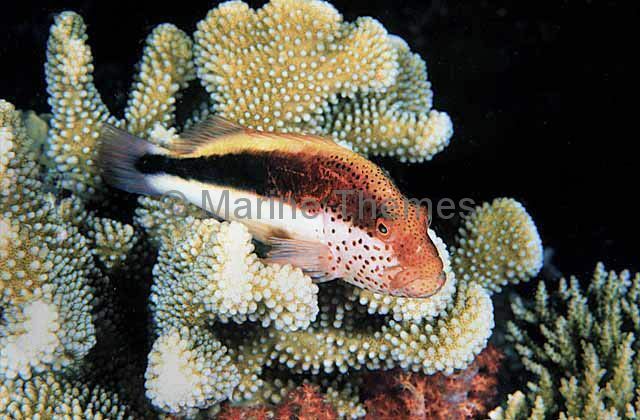 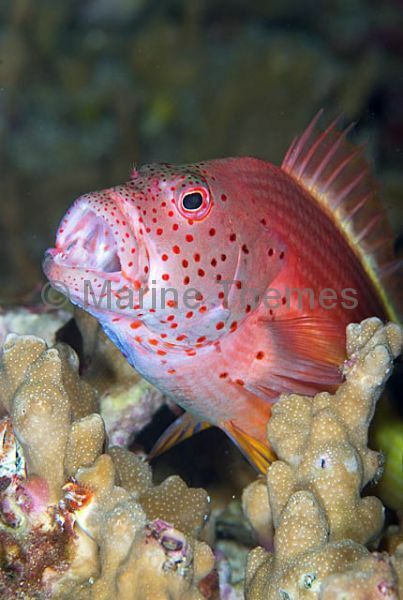 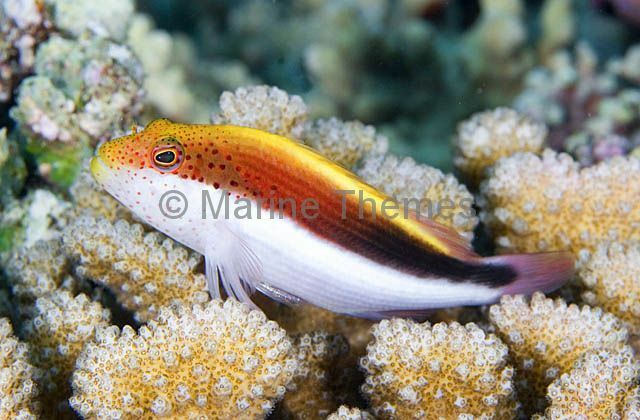 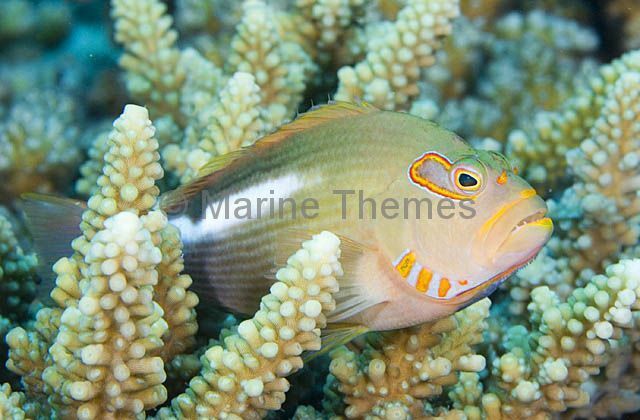 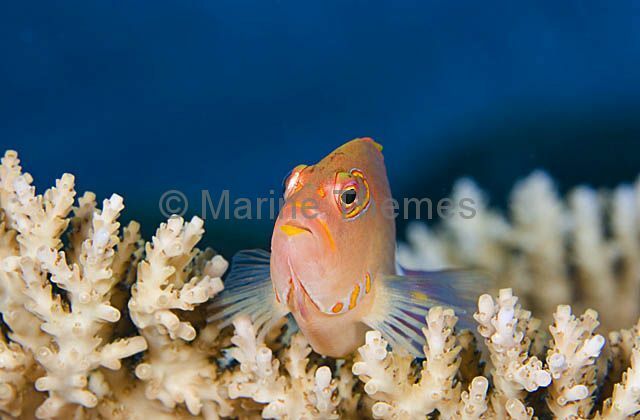 Blackside Hawkfish (Paracirrhites forsteri) on Acropora coral.